Home Improvement Services | Loughborough Plumbers. Synergy Plumbing Services. Looking for a professional home improvement specialist in Loughborough, Coalville, Hathern, Belton, Shepshed and surrounding areas? Synergy cover the East Midlands including Leicester, Nottingham, Derby and all the villages and towns in between such as Kegworth, Castle Donnington, Barrow Upon Soar, Measham, Osgathorpe and many more. 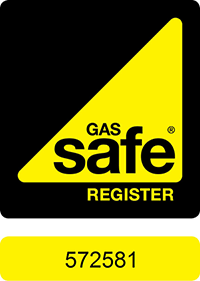 As Gas Safe registered service providers, we are able to reliably install ovens and other appliances. Getting your washing machines and dishwashers installed by a professional team makes a lot of sense. Let us do the heavy lifting. We’ve got the right tools to make sure that seals are tight and pipes and hoses are properly secured. We can also offer professional services in relation to flooring, tiling, bathrooms, wet rooms and windows. Our engineers can help you design the perfect project. We can also provide disabled access bathrooms. Whether you need a project starting from scratch, or you need some help with maintenance and repairs, we are sure we can help. Synergy also offer maintenance and support to landlords, tennants, business owners, and student housing. Why attempt the job yourself when we can take care of everything at highly competitive rates? Save yourself some time and stress, and bring in the professionals at Synergy. Why use several companies to source, deliver, and install your utilities and appliances when Synergy can cover the whole lot? Save man hours and money, and more importantly save time with the trusted team at Synergy.